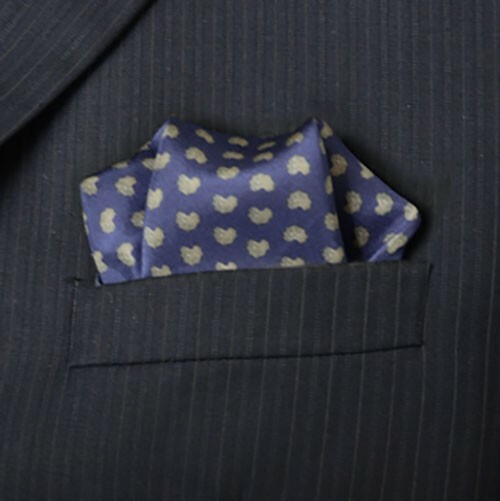 The Acton: Navy satin pocket square with bright green pattern and trim. *Please note the pocket square shown is in a colourway no longer available. The khaki green has been replaced with a bright grass green. New photocoming soon!